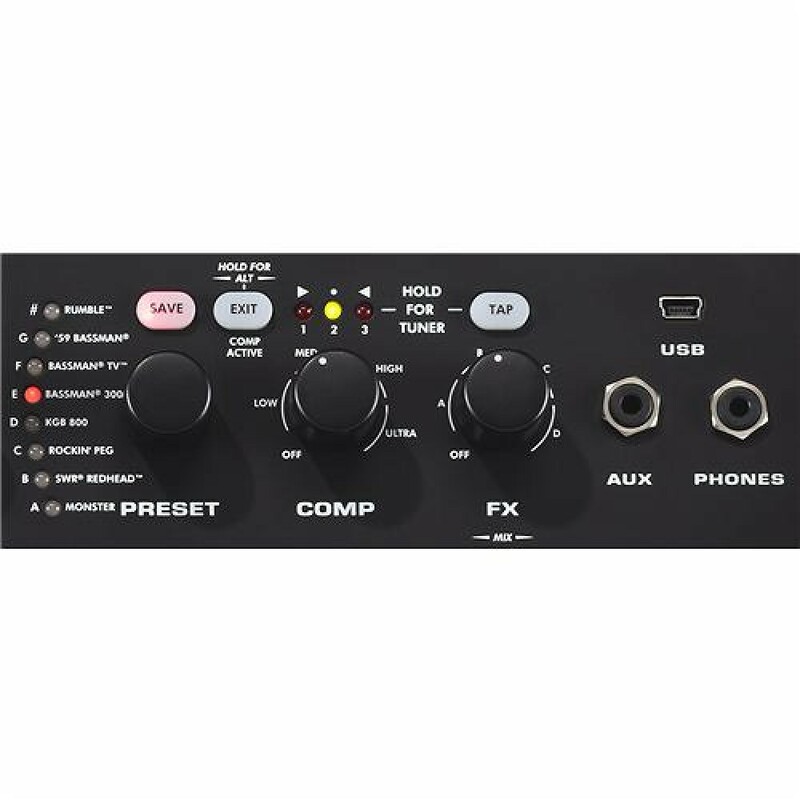 Roland Microcube Bass RX Battery Powered Guitar Am.. 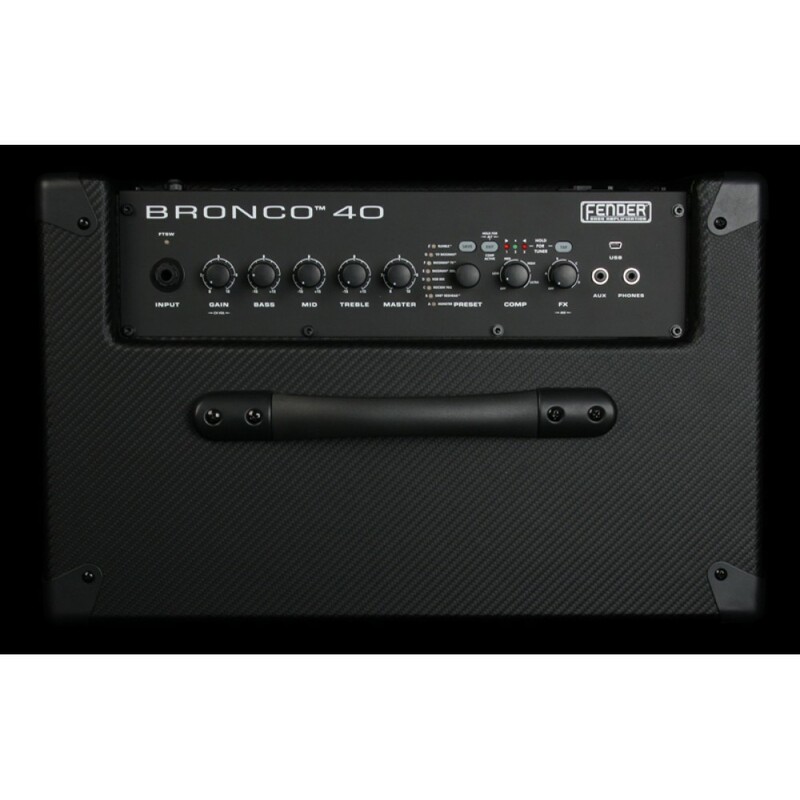 The new Fender® Bronco 40 DSP Modeling Bass Guitar Amplifier 40 Watts with USB And Fender® Fuse Software is a compact, lightweight amp that is loaded with versatile preset amp tones and built-in effects that make it the bassist's perfect personal-practice and recording companion. 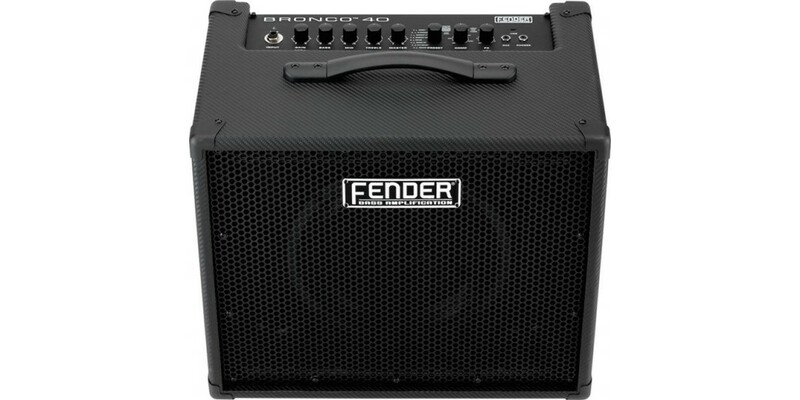 With free Fender® Fuse software and USB computer connectivity, creating, editing, storing and sharing your sounds is easy. 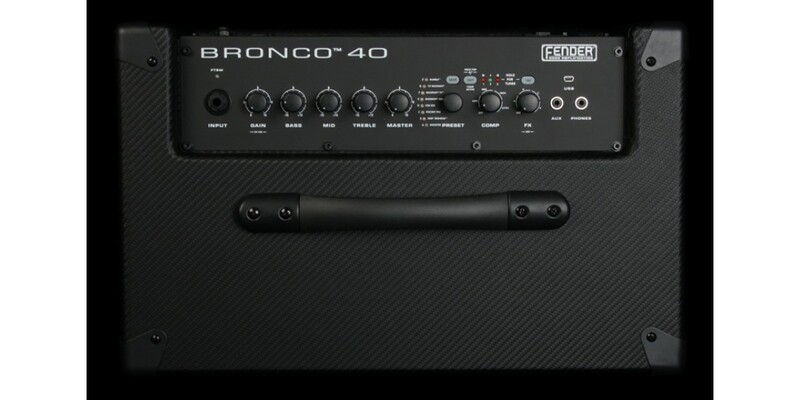 The Bronco 40 is an amazing value for the bass player who enjoys having sonic options to enhance their creativity. 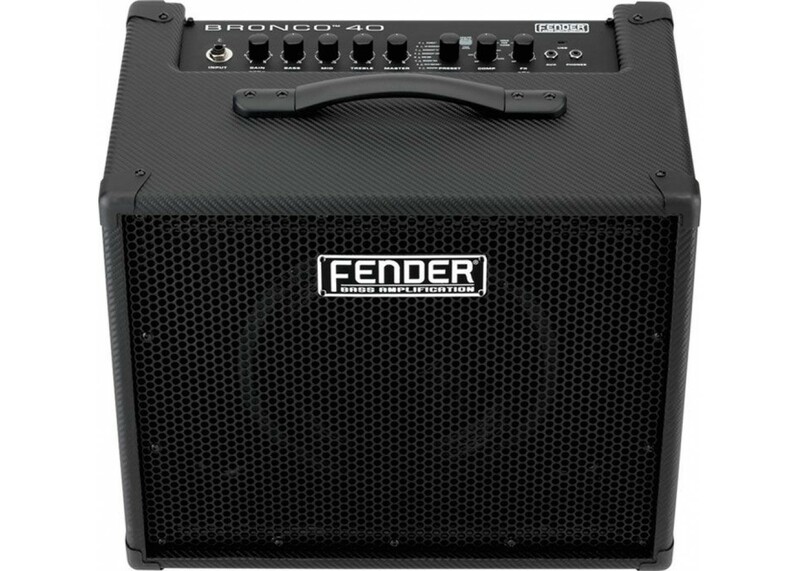 Unique Features: 8 amp models (Rumble, '59 Bassman, Bassman TV, Bassman 300, Redhead, Rockin' Peg, KGB800, Monster), Onboard FX (Modern Bass Overdrive, Overdrive, Fuzz, Greenbox, Chorus, Flanger, Phaser, Vibratone, Envelope Control Filter, Octave, Step Filter, Delay and Reverb), 24 onboard stored presets (unlimited with Fender® FUSE and computer), USB connectivity for connecting to Fender® FUSE(also for digital recording), XLR output for quality studio recording. 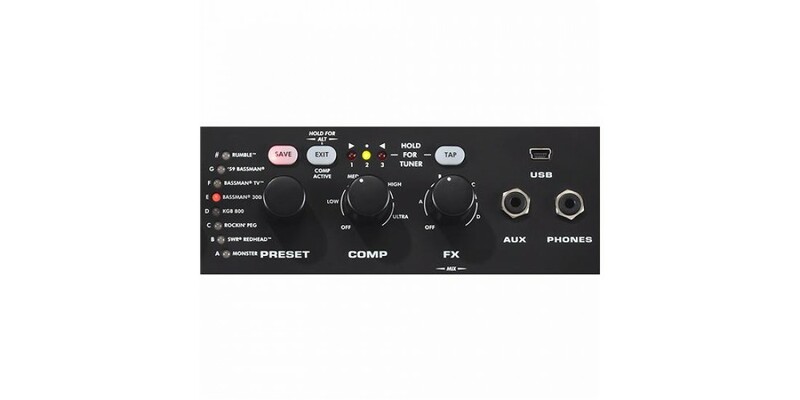 Two "quick access" presets can be stored to an optional 1 button footswitch sold separately (099-4049-000). Ableton Live Lite 8 Fender® Edition studio-quality recording software compatible with Bronco USB recording output.